Muse is once again hosting a pop-up at Block 16. The event will take place this Sunday from 11am to 3pm. The local, seasonal concept menu includes mouthwatering offerings of Korean bbq braised Wagyu and Deonjang braised Berkshire porkbelly. In a bold, one time only pop-up at Block 16, Jose Tomasello-Cardenas and Tim Maides are preparing a selection of Hispanic street food. Tacos Rule Everything Around Me will feature three types of taco: Tongue & Cheek, Seared Fish, and House made Al Pastor. Sides and snacks will include Elote (Mexican corn on the cob), Spicy Cucumber Salad, and Chips & Salsa. The venue hosts 60 guests at a time, so arrive early and plan to wait. The Blackstone District is preparing to welcome a new resident. 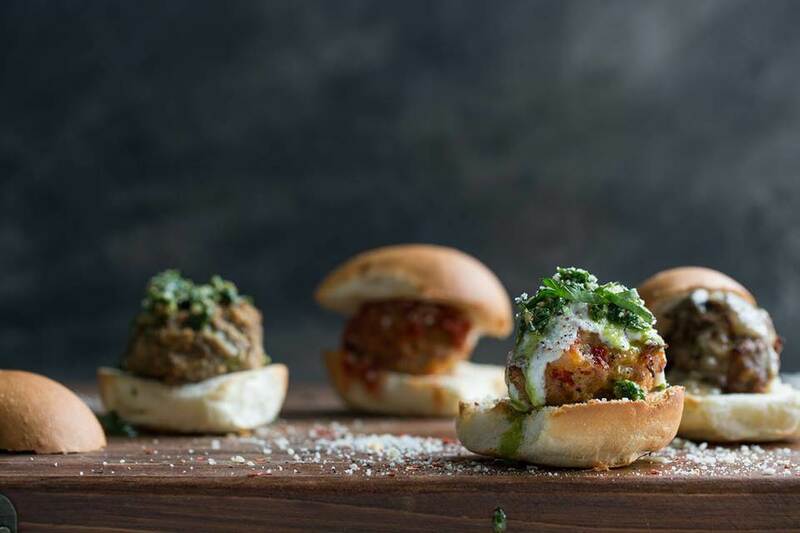 The Blackstone Meatball is scheduled for a May opening of their regional meatball themed eatery. Chef Matt Baum of The French Bulldog is still working on recipes for gluten free and vegetarian options to feature at the new establishment, owned by Phil Shaffart. Stick with The Reader for official opening announcements and news! What Is Plant Based Cooking? Are you wondering about the “plant based food” movement? Maybe you’ve never heard of plant based cooking but are interested in a more vegetarian lifestyle. At this workshop, you will learn about plant based foods and some of the research showing the health benefits of eating more plants. You will learn how to prepare some healthy and affordable meals. Free workshop with lunch included. Presented by Marika Svolos. P-tro just wants to have funTruth could make you free.